The Hike 20L Backpack from Vango is a spacious classic style rucksack which features Air Force back system. Contoured air channels create a chimney effect that enhances ventilation while active. Channels are covered with highly breathable AirMesh offering a great back system for medium capacity packs. 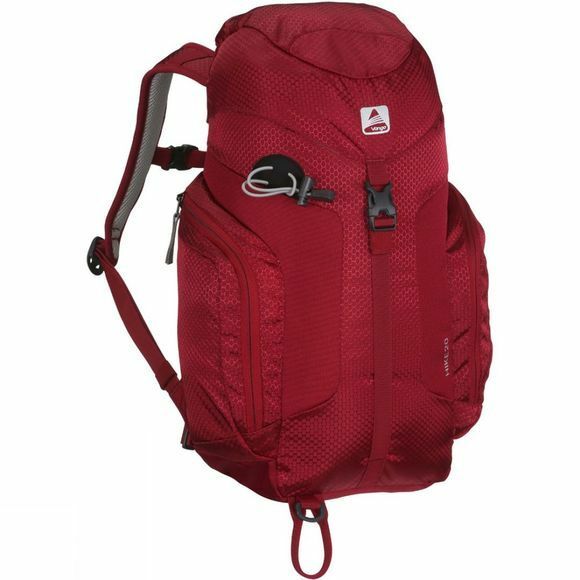 The Hike 20 Backpack has two large zip side pockets and a top entry system, with single buckle, to gain access to the main compartment. The oversized side pockets are ideal for water bottles, snacks and maps whilst the zips keep your items secure. The Hike 20L is a great backpack for long walks on the hill.